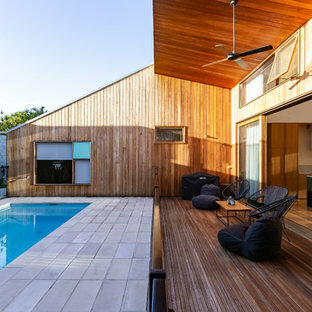 This is an example of a large modern deck in Gold Coast - Tweed with a roof extension. 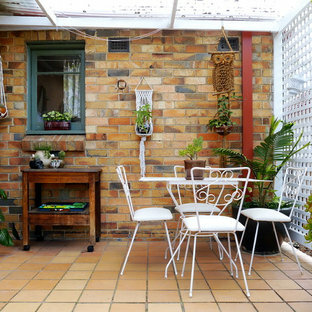 This is an example of a mid-sized eclectic patio in Melbourne with a container garden, tile and a pergola. 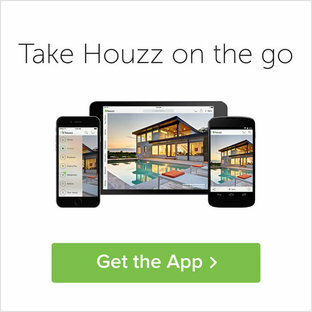 Design ideas for a small mediterranean patio in Sydney with tile and no cover. 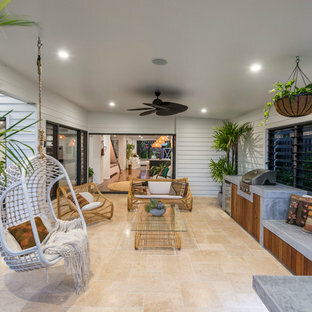 Design ideas for a beach style backyard patio in Gold Coast - Tweed with an outdoor kitchen, natural stone pavers and a roof extension. 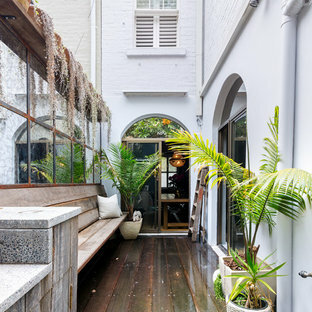 Inspiration for a tropical deck in Sydney with a container garden and no cover. 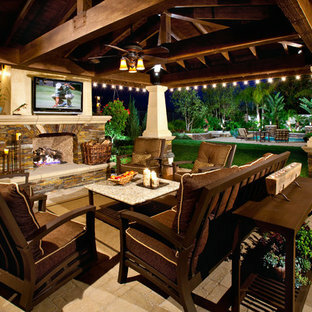 Mediterranean patio in Orange County with brick pavers and a fire feature. 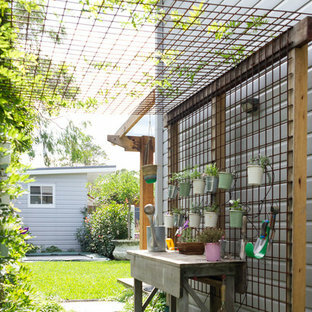 Photo of a country verandah in Chicago with a container garden, concrete slab and a roof extension. 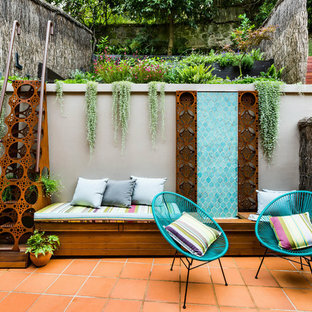 Transitional side yard garden in Sydney with a vertical garden. 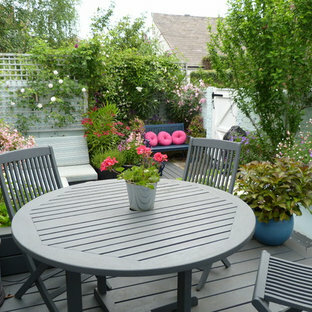 This is an example of a small transitional deck in London with a container garden. Photo of a traditional deck in Seattle with a pergola. Traditional verandah in New York with a roof extension. This is an example of a large mediterranean courtyard patio in San Francisco with brick pavers. Photo of a small contemporary balcony in Delhi with a container garden and a roof extension. This is an example of an eclectic balcony in Mumbai with a container garden. This is an example of a transitional deck in Portland. Inspiration for a contemporary balcony in Singapore with a roof extension. Photo of a traditional verandah in Philadelphia with tile, a roof extension and a container garden.